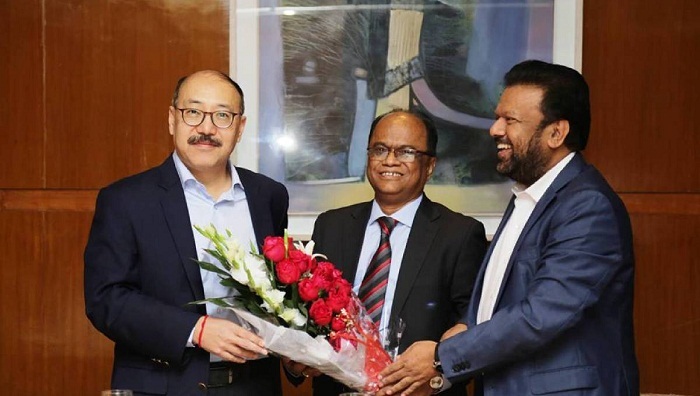 Outgoing Indian High Commissioner Harsh Vardhan Shringla has conveyed his gratitude to all in Bangladesh for their friendship and support extended to him during his tenure. Senior editors and friends from the Bangladesh media bade farewell to the High Commissioner on Friday. The High Commissioner thanked the Bangladesh media for supporting the High Commission’s efforts to promote friendly ties between the two countries, according to the Indian High Commission in Dhaka. A number of well-wishers from all walks of life, including political and cultural arena, met him to say goodbye and convey their best wishes to the High Commissioner. Shringla has already been appointed the next Indian Ambassador to the USA. He is expected join the new assignment soon, according to Indian External Affairs Ministry. Senior Indian diplomat Riva Ganguly Das, now serving as the Director General of Indian Council for Cultural Relations (ICCR), has been appointed the next High Commissioner of India to Bangladesh. She is expected to take up the assignment shortly, said the Indian Ministry of External Affairs.